Hilton Worldwide and DoubleTree by Hilton announced the opening of the new DoubleTree by Hilton San Francisco Airport North on Thursday. Located 2.5 miles from San Francisco International Airport and four miles from downtown San Francisco, the contemporary 210-room hotel boasts sweeping views of the San Francisco Bay and Marina, as well as convenient access to the area’s most popular attractions, including Alcatraz, Chinatown and the Moscone Convention Center. DoubleTree by Hilton San Francisco Airport North is owned by Summit Hotel Trs 114, LLC and managed by Stonebridge Companies. DoubleTree by Hilton San Francisco Airport North complete with a fresh design, featuring earth tones, granite and wood fixtures and new furniture throughout the guest rooms and public areas. The hotel offers 4,200 square feet of flexible meeting and event space — including five meeting rooms that can host 10 to 160 people — and a 1,920-square-foot premier ballroom. At Xebec Restaurant & Lounge, guests can enjoy cocktails and savor contemporary California cuisine prepared with a Mediterranean influence, all while admiring sunset views over the bay. The hotel also features a complimentary 24-hour fitness center, an indoor swimming pool, and a 24-hour business center, as well as direct access to scenic outdoor trails and jogging paths. Complimentary WiFi is available throughout the hotel’s public areas, meeting rooms and guest rooms. A complimentary shuttle service to and from the airport sweetens the deal. A visit starts with a warm chocolate chip cookie. Other DoubleTree by Hilton brand exclusives include an assortment of gourmet in-room tea and coffee choices from The Coffee Bean & Tea Leaf, a refreshing array of CITRON body care products by Crabtree & Evelyn, and an industry-recognized service culture built around the idea of CARE, which stands for Create a Rewarding Experience for guests, team members and the community. Each guest room and suite is equipped with a series of modern facilities and supplies, a 42-inch HDTV, a refrigerator, a large desk, wireless Internet access and the signature Doubletree by Hilton SweetDreams bed. 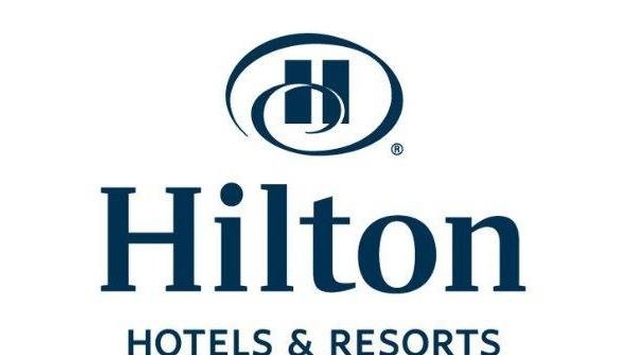 Hilton HHonors members will be able to earn and redeem points with their stay. To mark the opening, the hotel will offer double Hilton HHonors points on the best available rate through June 6.